According to month-end data from March, the national delinquency rate has fallen to its lowest point in 11 years, hitting 3.62 percent. The number of non-current properties and the total inventory of loans under foreclosure, both fell to historic lows as well. Prepay speeds increased—a typical indicator of increasing refi activity. According to a report from the Federal Housing Finance Agency, total Refinance volume has dropped as mortgage rates have risen. In February 2017, borrowers completed 4,198 refinances through HARP, and since HARP’s inception in 2009, the program has made 3,456,422 refinances. HARP represented three percent of total refinance volume, and six percent of loans refinanced through HARP had a loan-to-value ratio greater than 125 percent. CoreLogic released its monthly Loan Performance Insights Report for January 2017, which analyzes rates of delinquency and foreclosure. In January 2017, 5.3 percent of mortgages were delinquent by 30 days or more, a 1.1 percent percentage point decline in the overall delinquency rate year-over-year. Overall, delinquency rates saw steady drops year-over-year. Fannie Mae recently released its Monthly Summary for February 2017. Fannie Mae’s gross mortgage portfolio decreased for at a compound annualized rate of 16.9 percent for the month, while the GSEs Conventional Single Family Delinquency Rate stayed much the same month-over-month. 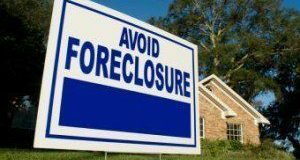 According to a recently released report by the Federal Housing Finance Agency (FHFA), foreclosures from Fannie Mae and Freddie Mac since the dawn of conservatorship reached 3.8 million as of Q4 2016. Overall however, serious delinquencies are down, along with short sales and REOs. FHFA also found that that the types of loan modifications offered are being influenced by the increase in home prices over the last couple of years. The sale of these loans is intended to reduce the number of seriously-delinquent loans owned by Fannie Mae and to help stabilize neighborhoods and to help meet the portfolio reduction targets required under the Senior Preferred Stock Purchase Agreement with the United States Treasury. 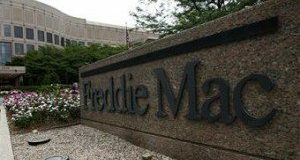 In addition to low rates of serious delinquency, Freddie Mac reported a total mortgage portfolio increase rate of 3.7 percent in January. Fannie Mae releases historical performance data that provides the market with the ability to analyze the performance of approximately 700,000 loans in Fannie Mae’s book of business that were modified due to delinquency. October marked the second straight month of growth for the portfolio, which has contracted for seven of 2014's first 10 months. Year-to-date, the portfolio has shrunk at an average annualized rate of 0.8 percent. 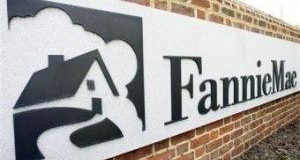 Fannie Mae's Book of Business ended 10 consecutive months of declining when it posted a compound annualized rate increase of 1.5 percent in September, according to Fannie Mae's September 2014 Monthly Summary.